Revamp your casual collection with this empire waist dress from 109F. Made of a good quality fabric, this dress is comfortable to wear and skin friendly as well. 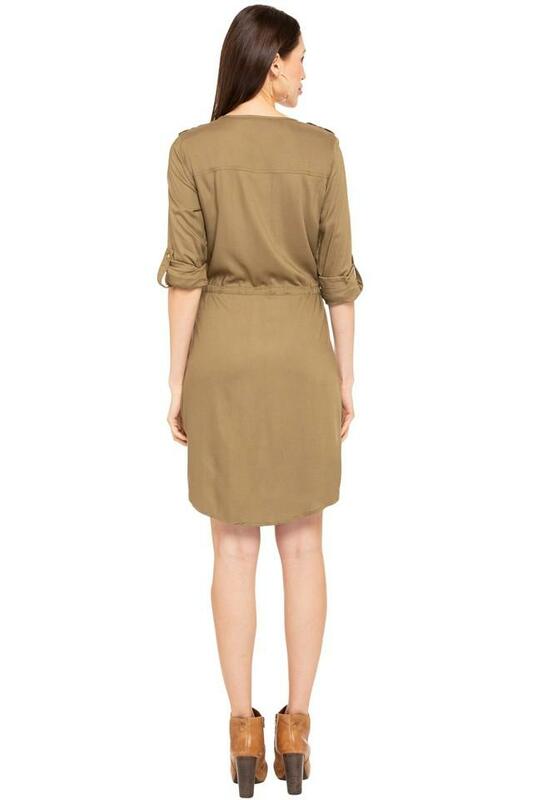 Featuring a round neck, rollup sleeves and solid pattern, this dress possesses a stunning taste. Add a contemporary edge to your looks with this empire waist dress. Charm the world by coordinating this dress with a pair of strappy flats.